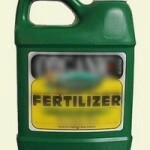 Fertilizers are very important to plants. Aside from sunlight and water, fertilizer is essential to them. If the soil is well-loamed and rich, it is a good source of nutrients for the plants in the area. However, if the soil has gone through cycles of planting and harvesting already, then it has been stripped of all the nutrients it can give. Since the soils can no longer meet the adequate needs of the plants, “supplements” in the form of fertilizers would have to be given to meet the nutritional needs of plants for optimum growth and yield. There are five major types of fertilizers. Each type is used specifically for a certain type of garden or plant or situation. It is necessary to have at least two types ready in your garden shed. Inorganic fertilizers are actually artificial or synthetic fertilizers. When plants are in dire need of nutrients because they are already dying, an inorganic fertilizer is the most immediate solution to infuse nutrients immediately to the plants. Inorganic fertilizers are synthesized using the Haber-Bosch process and they immediately produce ammonia as a by-product which dying and malnourished plants need immediately. Having an inorganic fertilizer ready at all times is a must. 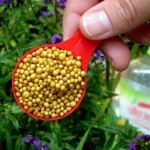 Over-fertilizing can be harmful to plants. There are plants that are “choosy” and they need a need to be given a specific ratio of nutrients. The degree of specificity that these plants require may be over may not be available using conventional fertilizer preparations. The plant may go under-fertilized or over-fertilized if the specific nutrient percentage of nutrients is given. Neither is a good option for the plants to go. Plant-specific fertilizers are special formulas designed to meet the adequate nutrient needs of a particular plant in order to grow optimally. Liquid fertilizers great in delivering nutrients to the plants since the liquids seeps right into the roots where plants may immediately take up the necessary nutrient needed. However, the effect of a liquid fertilizer is also term and hence it would only take a short time for the need to re-fertilize your plants again. When having a huge lawn or garden using liquid fertilizers are highly uneconomical. Furthermore, it does not do well for plants that grow best in well-drained soil. This kind of fertilizer has been more popular these days. Time release fertilizer usually releases the fertilizer slowly over a certain period, usually around 2-6 months. This is really good for the plants because there is a lesser chance of getting burned because the plants do not receive a full blast of nutrients. After initial application, gardeners will just have to wait until the specified time period that the time release fertilizer is supposed to be used up already. The release of nutrients is accelerated in the presence of water and moisture. Hence, this works best during warm weather. 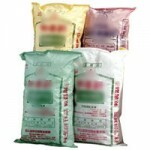 This type of fertilizer is also more expensive than the conventional ones. Using a fertilizer that contains pesticide certainly hits two birds with one stone. The plants get their nourishment and they are also protected from pests that may damage them. This even comes a whole lot cheaper than getting the two separately. When getting this 2 in 1 product, make sure that there is balance between the two. The pesticide should not come in too strong otherwise it may also kill the plants in addition to killing the pests. Each fertilizer type has its own advantage. 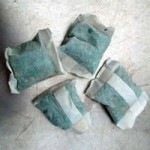 It recommended that one should know which fertilizer works best with the plants in your garden. Having some ready anytime will help prevent your plants from starving.